While putting together the Katie pattern – which has taken a lot of experimentation – I have also been experimenting with a new tool… my iPad, Apple Pencil and Adobe Draw. It’s been a learning experience all round – I love it! Here you see images of the work in progress. When I have a row the way I want it, I stop and take a photo and then write how many stitches I’ve used on top of the photo. After I’ve washed, pinned and ironed the doily I will reassess and then finalize and document the pattern. I use both written instructions (example, 7ds 1picot 7ds) and a visual pattern I will create with Adobe Illustrator, and I may include photos of the work in progress. I really enjoy this part! 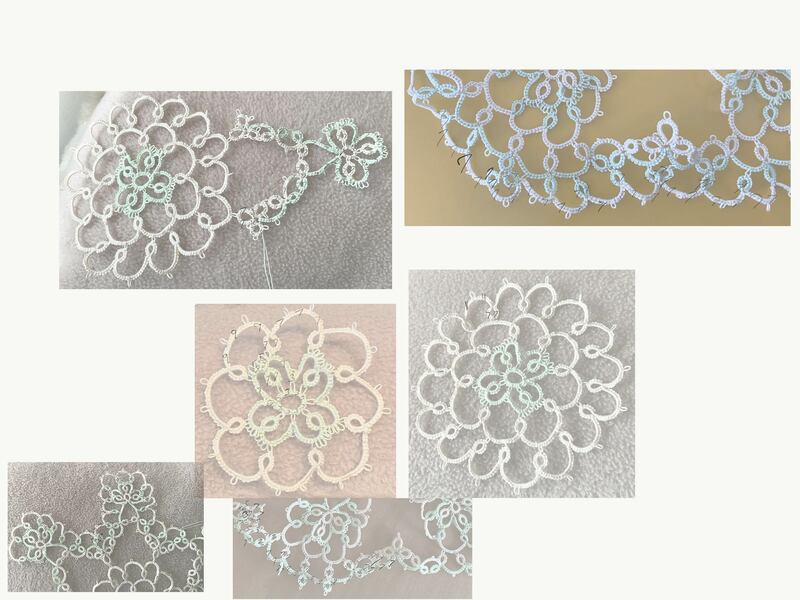 And I’ve ordered some nice bright white and kelly green thread to make the versions of this doily that I will sell on my Etsy store. So I will be making colour choices for each row… fun!